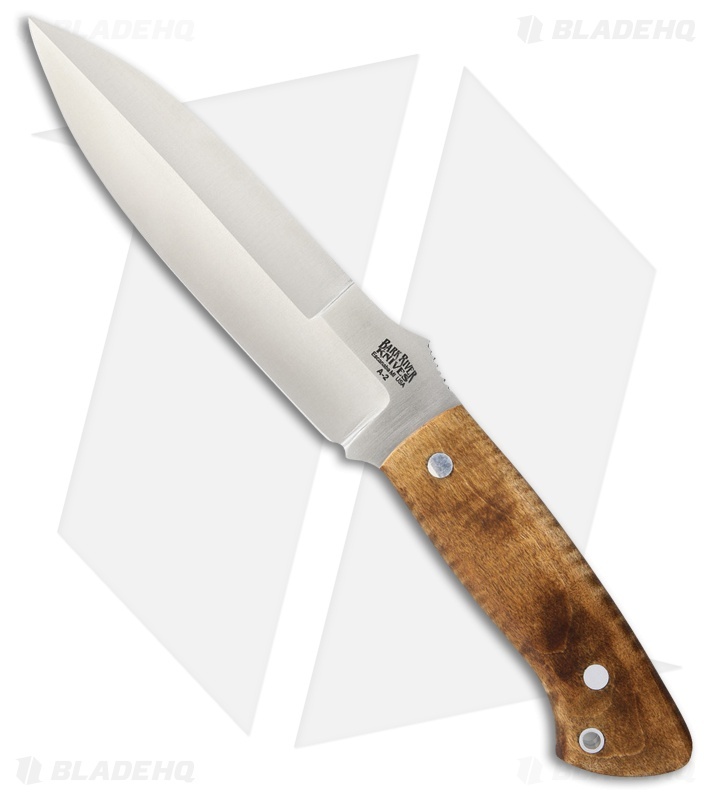 The Bark River Essos fixed blade knife is a full size robust tactical knife that can withstand rugged environments and harsh abuse. The 5.375" spear point blade has an extremely strong tip which excels at close quarters situations. The full tang blade includes a generous thumb ramp for added grip. Contoured curly maple scales are comfortable in hand while providing enough leverage to maximize the knife's chopping ability. Included is a leather sheath belt sheath.